Rudolph the Red-Nosed Reindeer leads the way to Christmas joy under the glow of five million holiday lights at SeaWorld San Antonio’s Christmas Celebration. Through Jan 1, SeaWorld San Antonio has been transformed into a winter wonderland with the largest lighted Christmas display in Texas. 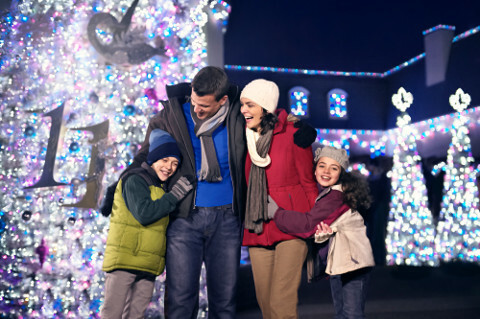 Holiday lighting vignettes will be held throughout the 250 acres of the park including Tower of Light, Christmas Cove, Snowman Village, and Caribbean Christmas. Holiday entertainment will feature Clyde & Seamore’s Countdown to Christmas, the Merry Mariachies, Christmas Navitity Story, and Dolphin Christmas. New holiday programs include Dine with Rudolph and Rudolph’s Christmas Town. SeaWorld will be adorned with carolers, holiday treats and traditions like Home for the Holidays with Santa and Mrs. Claus, and Shamu Christmas Miracles. For a detailed activity list and to purchase specially priced Annual Passes, visit SeaWorldSanAntonio.com. “No one loves Christmas more than Texans, and we intend to make this the biggest and brightest Christmas the Lone Star State has ever experienced,” said Carl Lum, park president. “This year we are lighting up the night sky in a way that’s never before been seen by expanding from one million to five million twinkling lights and bringing back our signature lighted flagpole to make this the most festive and family focused holiday destination throughout Texas. The SeaWorld elves are already hard at work creating magic around the park,” added Lum. As a part of the holiday celebration, SeaWorld and its hotel partners are offering guests benefits, including the Kids Stay and Play Free Christmas package. Priced from $89 per person, per night, guests enjoy one night of accommodations at a SeaWorld partner hotel and park admission valid for up to seven days. For each adult purchasing the package, guests may also receive a free child ticket (ages 3-9) valid for up to 7 days. Other perks include 20-percent off all-day dining, 20-percent off merchandise and a free game at the Games Center. 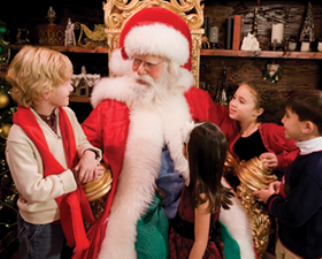 For an additional charge guests can add a dining experience with Santa Claus or Rudolph the Red-Nosed Reindeer. This Christmas package is valid through Dec. 31, 2016. Reservations can be booked online at SeaWorldSanAntonio.com. SeaWorld San Antonio is open weekends through Dec. 17, as well as Christmas break, Dec. 17 through Jan. 1.